Debi Smiley, Wauna CU COO, with Long Beach Fire Chief Matt Bonney at the groundbreaking ceremony. 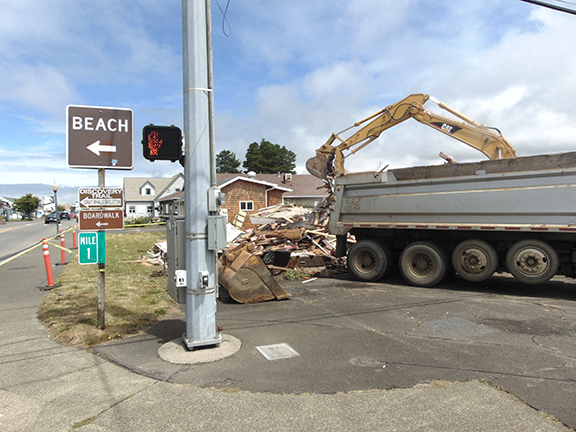 LONG BEACH — Pacific County residents looking to purchase real estate will have a new financing option on the Peninsula in September. 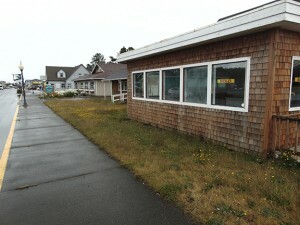 Wauna Credit Union, based in Clatskanie, is opening a Mortgage Origination Office at 910 Pacific Avenue in Long Beach. There was a groundbreaking ceremony Aug. 4. Completion is tentatively slated for late September. 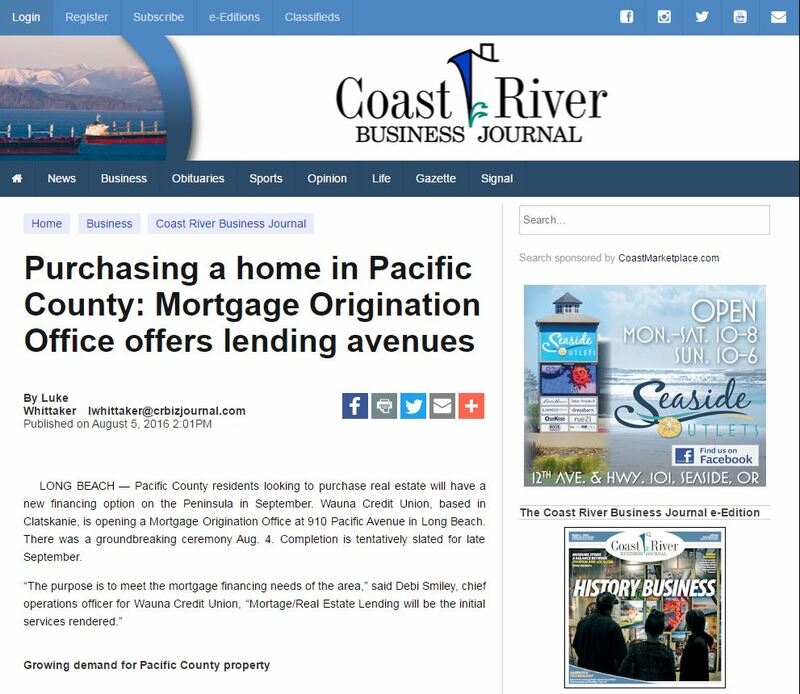 The new mortgage financing office will serve a growing demand for Pacific County real estate. 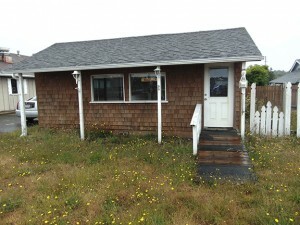 “Recently it was brought to our attention by local real estate Agents that there was a growing demand for Real Estate Lending in Pacific County,” Smiley said. A feasibility study was conducted and the results reflected that the number of real estate transactions has significantly increased during the past 5 years and continue to climb annually. 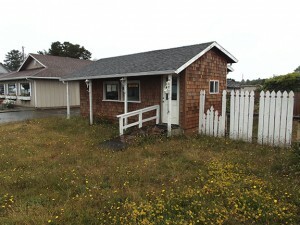 “This reflects a strong demand for Real Estate financing,” Smiley explained, “We believe WCU can assist in meeting this need,” said Smiley adding that WCU has served Pacific County since July of 2012. 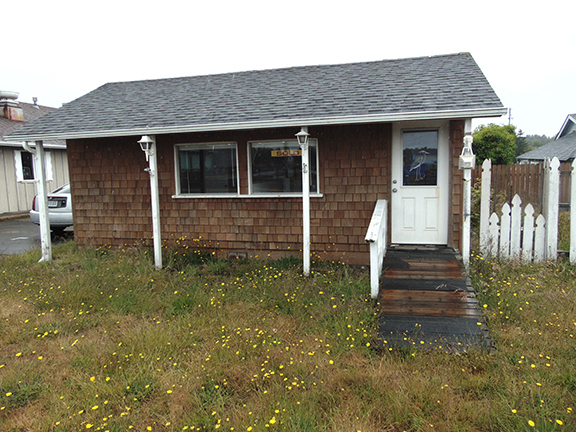 “It is our goal to provide a service that assists individuals in purchasing the home of their dreams,” she summed. WCU has braches offices in Astoria, Clatskanie, St. Helens, Scappoose, Vernonia, and Warrenton, Oregon with total assets exceeding $200 million. Wauna Credit Union officials are pleased to announce the pending development of a Mortgage Origination Office at its newly acquired property at 910 Pacific Avenue in Long Beach, Washington. Initial construction at the property began July 12th with demolition of an existing structure. The new Mortgage Origination Office, which is tentatively scheduled to open in late September 2016, will provide local, affordable Real Estate services to the Credit Union’s growing membership in Pacific County. All residents, businesses, and organizations throughout Pacific County are eligible for membership with Wauna Credit Union. A more formal announcement will soon be made by Wauna Credit Union to its membership and to the public about this new facility to serve Pacific County.